This is easy, but you need to make sure that the publish details are saved within the website and that the website has actually been previously published at least once from either Xara Designer Pro X or Web Designer Premium. 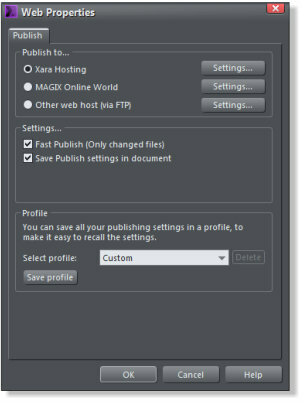 You can only save the publish details in Xara Designer Pro X or Web Designer Premium. So looking at the publish settings as they appear in either of these two - check the Web Properties Dialog publish details. Not sure how to find these? Press F1 and search the Help pages for Website Publishing. Now publish the website document and then save it to your cloud drive. 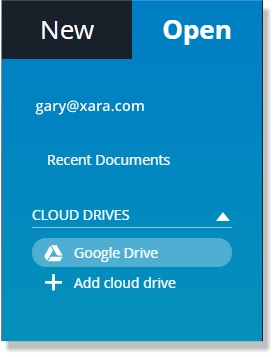 Make sure it’s the same cloud drive that you have linked to your Xara Cloud account. 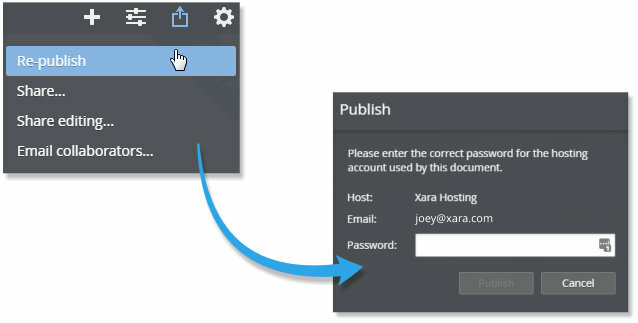 Now you can open the file from the cloud in Xara and work on it. Then enter the Password - that’s the FTP Password, click Publish and the updated site will be published. You will only have to enter the password once per session. Remember that by using the cloud as your document repository you're ensuring that you and your shares are always working from the most current and up to date version of your document! Also don't forget that you can annotate your docs using the Comments feature.